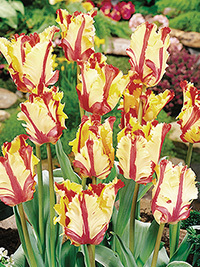 Bright ruffled yellow with a red flame. Very unique. Mid season flowering, 40cm.